The motivation for large-scale military exercises in Europe has changed in the last year from assurance to deterrence in response to Russian posturing, the commander of U.S. Army Europe said. “That means you have to have more capability, and you have to demonstrate the will to use it,” Lt. Gen. Ben Hodges said in a teleconference connected with the General Gordon R. Sullivan Conference and Event Center at AUSA headquarters in Arlington, Va.
“That’s what Exercise Saber Guardian is all about,” he said of the 23-nation show of force. Saber Guardian is an umbrella for 18 smaller exercises in the Black Sea region, Hodges said, adding that it’s primarily a chance to practice quickly massing combat power in an area before a crises occurs. “By the end of next week, a total of 45,000 men and women will have participated in those 18 exercises,” he said. Saber Guardian is similiar in size to a Russian-ordered large-scale military exercise known as Zapad 2017 that is slated for September, but Hodges said the primary difference is one of transparency. The press and public can watch Saber Guardian, but “in the last three years, I have not encountered one journalist who has been invited to a Russian military exercise,” while the U.S. invites hundreds of reporters to Saber Guardian, he said. Hodges spoke via livestream from Bulgaria, where the 173d Airborne Brigade, along with allied airborne units, are conducting a Joint Forcible Entry Exercise near Bezmer Airbase. This exercise and demonstration, known as Swift Response, is a part of Saber Guardian in the eastern region of NATO. Airborne operations may seem like something out of history, but Hodges provided three reasons they are still viable. First, he argued, history has proven that military options thought to be obsolete often are needed again when circumstances change. Second, from a strategic perspective, airborne capabilities are an effective option. “If you have a football team, you don’t tell your opponent that you’re never going to throw the ball. So why would we take a capability off the table, and give our potential adversaries one less thing to worry about?” Hodges asked, adding that for it to be a viable option, it has to be practiced and maintained. Finally, critics of airborne forces fail to take the human domain into account, Hodges said. 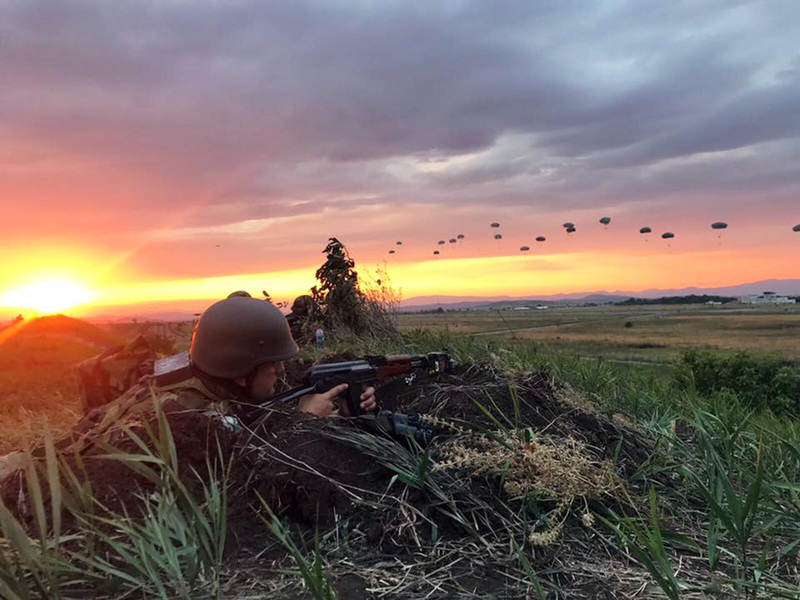 Airborne soldiers and NCOs are part of an elite formation with a specific skill set, and when those troops transition to other units, they improve the quality of the force as a whole.